Life with Lesley: Betty Crocker, Pillsbury, and Kraft - Oh my! What do these three things have in common? Great summertime recipes, that's what!! July & August are busy months around here. We have 4 birthdays in July, 2 in August...and then add in the 4th of July and we are doing A LOT of cooking. And if you're anything like me, the usual hamburgers and hot dogs get old. I am always looking for tasty new recipes. Betty Crocker will show you how to serve up some red, white and blue. 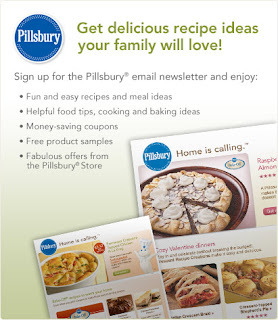 Pillsbury shares their star-spangled recipes. * receive Kraft emails filled with simple meal ideas, tips, and special offers. And be the first to know when the new Online Edition of food & family is available. * our best recipes for everyday dinners, healthy living, special celebrations, heavenly desserts and much more. Check out these sites for some new exciting ways to spruce up your next BBQ!